Delicious soup recipes to keep you warm! Soup is definitely at the top of our list of food that's ideal for cold weather. Soups and stews are the ultimate comfort food during the fall and winter months; there's nothing quite like cozying up with a big bowl of delicious warm soup full of the best flavors of the season. But, don't limit soup to the cold weather months! There are soup recipes that are great for the summer as well. Now, with this free eCookbook, 38 Best Soup Recipes and Hearty Stews, you can find some of the most popular soups and stews on our site. Whether you serve it as your main meal or as your starter, you're sure to find some tasty easy soup recipes and recipes for stew in this handy collection. The 38 Best Soup Recipes and Hearty Stews eCookbook is filled to the brim with easy soup recipes and simple stews, from savory to sweet and many in between. There’s something for everyone in this collection of our best soup recipes, from classic chicken soup recipes to awesome vegetable soup recipes to those fan-favorite easy to prepare slow cooker soup recipes. There are also some unique and fun new soup recipes to check out. No matter what you're craving this fall or winter, you're sure to find something that satisfies and fills you up in this collection of our favorite easy soup recipes. Download a free, printable copy of the 38 Best Soup Recipes and Hearty Stews eCookbook and you’ll have plenty of options to enjoy until the weather gets warm again. Who knows, you may just find your new favorite soup recipe! 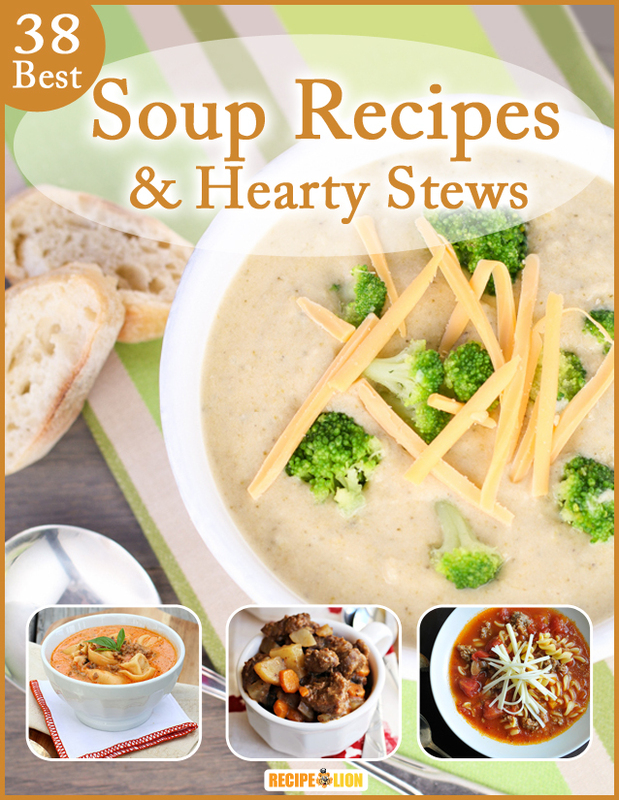 Download your copy of 38 Best Soup Recipes and Hearty Stews eCookbook today! When you want a hearty, easy-to-make meal, soups and stews are the perfect pick. More than anything else, they are the ultimate comfort food during the fall and winter months. But, of course, soup isn’t only a dish for cold days. You can serve it during the summer, too! In our latest eCookbook, 38 Best Soup Recipes and Hearty Stews, we’ve gathered some of the most popular soups and stews, including soups that you can serve all year long. Whether you want a meal or a starter, you will find an option among these easy soup recipes. This eCookbook is chock full of delicious soup recipes and simple stews. There’s something for everyone with these classic chicken soup recipes, vegetable soups, low-maintenance slow cooker soups, and super filling stews. You’ll find some new and unique soups to try, as well as easy versions of your old favorites. With the 38 Best Soup Recipes and Hearty Stews eCookbook, you’ll have plenty of ideas to get you through to the next change of season. Click here to download 38 Best Soup Recipes and Hearty Stews eCookbook! One of the most classic of all easy soup recipes is the old standby: chicken soup. Nothing fancy here - just delicious, down-home flavors that bring you right back to your childhood. Whether you're trying to mend a sickness or just have a craving for one of Mom's classic dishes, chicken soup recipes are just what you need. Go ahead and make one (or more!) of these easy chicken soup recipes and you'll remember why chicken soup is such a classic. Amish Chicken Soup (pg. 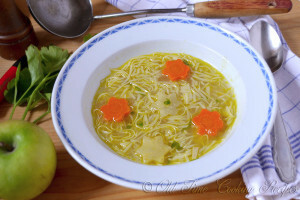 8) - A hot bowl of chicken noodle soup is always comforting and delicious. This Amish Chicken Soup is a classic homemade chicken soup recipe that uses egg noodles, which are found in many Amish dishes. 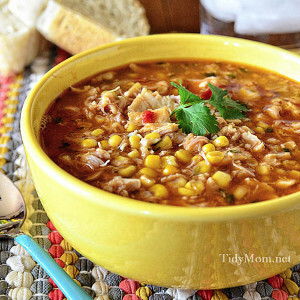 15-Minute BBQ Chicken Soup (pg. 9) - This soup is perfect for a weeknight dinner because of how speedy it is! Make it next time you're looking for a quick recipe for dinner. Farmhouse Chicken Chowder (pg. 10) - This rustic-style classic is one chicken soup recipe that will never go out of style. It's so flavorful and comforting and makes a great meal anytime. There's nothing easier (or better tasting!) than soup made in a slow cooker. Allowing all of the ingredients to sit and simmer and achieve maximum flavor makes for the most delicious soups of all time. For those busy days when you don't have a lot of time to prepare a meal for your family, slow cooker soup recipes are a real life saver. Bust out your trusty slow cooker and make one of these delicious and easy soup recipes for dinner tonight! 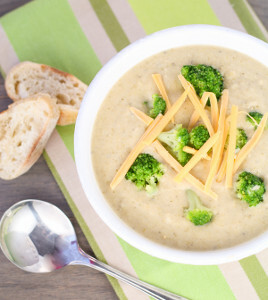 Slow Cooker Broccoli and Cheese Soup (pg. 22) - This warm, creamy soup is the perfect comfort meal. Slow Cooker Broccoli Cheese Soup will warm any soul, no matter what the weather is outside. Southwest Chicken Soup (pg. 24) - For one of the most flavorful chicken soup recipes you'll find this side of the Mississippi, try this recipe for Southwest Chicken Soup. 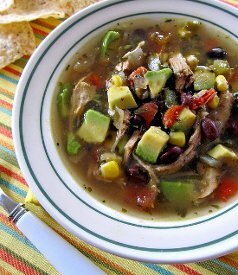 Made with shredded chicken, peppers, onions, black beans, sweet corn, tomatoes and avocado, this soup is packed to the brim with flavor. Slow Cooker Beef Dumpling Soup (pg. 26) - This easy slow cooker soup recipe serves six people, and involves very minimal prep. Though you can eat this any time of year, it's especially comforting in the colder months. We could talk about soup all day if you'd let us. It's one of our favorite dishes to make because there are so many different options and flavor combinations that you can put together. That's why we had to include a section in our eCookbook for all of the soups that didn't fit into other categories! Best Ever Baked Potato Soup (pg. 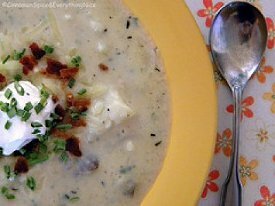 30) - Loaded with all of your favorite baked potato flavors, this awesome easy soup recipe is just what you crave when the weather gets cold. 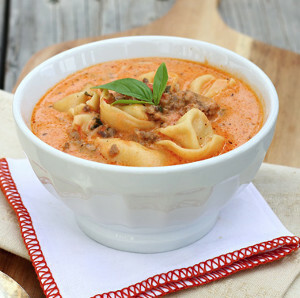 Creamy Tomato, Sausage, and Tortellini Soup (pg. 32) - Can you believe this soup only takes 20 minutes to prepare? Even better, it’s one of the heartiest soups you’ll find. Mighty Cheeseburger Soup (pg. 36) - For a hearty dish the whole family will love, try this easy-to-prepare recipe . Made with all of the traditional cheeseburger toppings, this is one of those great soup recipes that can serve as your entire meal. On those days when a simple bowl of soup just won't cut it, turn to one of the hearty stew recipes in this free eCookbook. The recipes for stew that we've gathered here are all sure to fill you up and are hearty enough to stand on their own as an entire meal. From beef stew to pork chop stew to vegetable stew, there are many options. Cozy up with a nice big bowl of stew for dinner tonight and you'll be a happy camper! 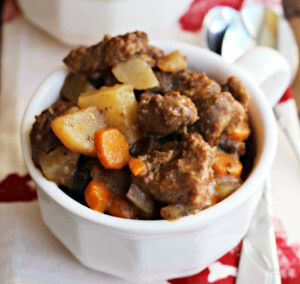 Sunday Slow Cooker Beef Stew (pg. 39) - When you just feel like being lazy on the weekend, throw this slow cooker dinner together and let it cook all day. This is a beef stew recipe that couldn't be easier. Country Chicken Stew (pg. 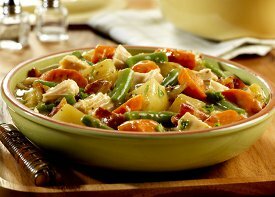 43) - This hearty stew recipe, chock full of carrots, green beans, onion, potatoes, and chicken, simmers in a creamy soup base and becomes tender in just minutes. All-In-One Fiesta Stew Pot (pg. 44) - For a stew that is warm and wonderful, you've got to try this one-pot recipe. It's the perfect recipe for the weekend - set it up on the stove, and forget about it until you're ready to serve! What great ideas! With the way the weather has been, I anticipate needing some of these recipes soon! It's soup season, so I thought I'd check this out. I've already made one and I am excited to keep at it. Awesome collection! This recipe book I downloaded has already been used. My daughter came for a visit and told me that she is having her wisdom teeth out. She had three days to make some soup to stock up on. She said to me she wants a recipe for Zucchini soup and I remembered this e-book! Sure enough there was a recipe for Zucchini soup and I gave it to her. How fortunate was that! We're heading for winter here in South Africa and this recipe book is going to come in very handy. I like the fact that there is a recipe for dumplings, which I will definitely make. The country chicken stew also looks amazing. I will most certainly be making the slow cooker pork chop stew. Really yummy recipes for almost any kind of soup that you could want to make. I always change them up a little but they give me a good jumping off place! I am trying to find the recipe for Olive Gardens Kale Soup.